Artisanal food: A business beyond profit! Artisanal food is comparatively new to Indian market; However,gradually, it is moving towards becoming one of main stream businesses in the time to come. Indian artisanal food market may be small to European market in terms of size and volume but it is certainly a growing food category. Artisanal is a very niche food category in India which has seen its emergence in last couple of years. India still has very limited consumers when it comes to artisanal food; however, due to globalization, urban Indians are getting conscious about their health and eating habits. The focus is moving toward a diet that is all natural, organic and wholesome. Thus, artisanal certainly has a better future. Richa specialises in making handmade gluten free granola. Richa started her entrepreneurial journey just after graduating from a culinary school with an interest in starting a small business of her own. Usually, artisanal products are made on small scale and have a very limited shelf life as compared to standardized factory-make products due to no use of preservative or emulsifier. Moreover, artisanal products are priced much higher than the regular products. This is the type of business which cannot fetch you an early break-even. Moreover, it is an expensive affair to begin and cannot scale-up easily since cold chain logistics is very expensive in India. Speaking on same, Mansoor Khan, Owner, Acres Wild said,” We are not doing it as a business. We were keen to have an organic farm and cheese is just a byproduct for us. 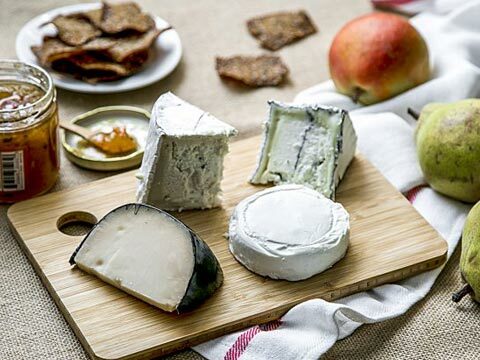 Moreover, we had the supporting infrastructure to make artisanal cheese.” Acres Wild produce 5 kgs of artisanal cheese every day and selling it via a small shop located in Coonoor. The company has around ten cows that produces around 30-40 lites of milk every day. The company is manufacturing artisanal cheese since 2004. “Today handmade is a big thing, but we have to understand that handmade products can’t be made beyond a point. Handmade mean slow, small and authentic. it will lose its purpose, if rapid scaling up will be done. Artisanal means an artist sitting behind and making it slowly just by using hands,” he adds. Currently, Richa is retailing via online store and are listed on various e-commerce stores as well as hugely popular apps like Scootsy. In offline space, the company retail via Foodhall stores across India and J W Marriott hotel and IThink fitness gyms and cafes in Mumbai. So artisanal means ‘Zero Profit’? It is indeed not true. All it requires is a unique idea to begin with. Speaking on same, Prateeksh Mehra, Owner, The Spotted Cow Fromagerie, said,” A unique idea is very important when someone is looking to start an artisanal business. It would be great to start with a product that can find a distribution easily. For example, if somebody gets into artisanal ice cream business then it is not difficult for hotel chains and retailers to sell ice cream, but things could be vice versa in the case of cheese. “On pricing you need to be very careful since you are going to produce a costly product and retailers also ask for their margin so you need to be preparing a lot of thing before getting started. On bright side, Indian artisanal food is still way cheaper foreign imported artisanal products,” said Mehra. Mehra is a professional photographer turned artisanal food entrepreneur who began his professional journey in 2014 by founding The Spotted Cow Fromagerie. He began with making cheese at home. The company started with huge focus on institutional sales; however, they have just ventured into organized retail by collaborating with Godrej Nature’s Basket and Foodhall. No doubt, artisanal has a huge rage in India. This business may not sound lucrative to begin with due to enormous investments. Globalization is happening in every part of the world and India is no exception. With rising per capita Income and global exposure, artisanal food certainly has a better future in this country.